For whatever is next in your life. 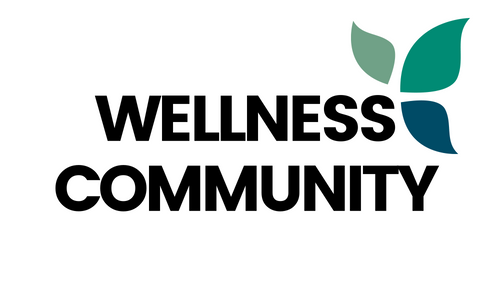 As the name suggests, WellnessCommunity is a brand committed to finding you and your family the best products that help improve your wellness and quality of life. 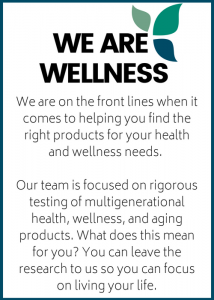 Our team of qualified experienced and licensed experts is focused on rigorous testing of multigenerational health, lifestyle, and aging products. With us, you can sit back and relax and let us take care of the research work. We are a family-run business backed by a mother-daughter team. Our business came into being when we decided to research health and beauty products we needed. Frustrated of Googling and still failing to find all the relevant information required we had no way out but to buy products and indulge in a trial-and-error method, where we would keep the products we liked and tossed the ones we didn’t. One day, it occurred to us that providing well-researched reviews to people who were looking for health products online was a creative and game-changing idea, and voila! This is how WellnessCommunity came to life. Our core focus lies in educating people and testing out brand new products in a dynamic market. We spend hours reviewing, analyzing, and comparing new and old health products so that you can make well-informed decisions and invest in products that best fit your needs. Whether you are shopping on a budget, in search for a specific type of product, such as personal care, relaxation, or daily living items, or just trying to expand your knowledge related to a certain product, rest assured that we’ve got you covered! Budget – Certain health, aging, and wellness products can be quite costly, but they don’t have to be. Find the right product precisely based on your own personal health needs. Brand – When you purchase a health product from a trusted brand, you will be at peace knowing the standard of their quality. Plus, you are more likely to get customer support and refunds in case the product doesn’t work out for you. Product Category – Whether you are interested in yoga, personal care or braces or other types of daily living aids, with us you can narrow down the product and choose one that is closely in sync with your needs, preferences, and budget. Comprehensive Research – We spend a great deal of time assessing health, wellness and aging products, customer feedback, ingredients, manufacturer information, and the most recent reports and findings from government agencies, along with other third-party experts. Industry Updates – We are aware and up-to-date with the market updates, trends and news regarding the products so you won’t have to do the same. Whether it is additional research regarding a certain product or changes in the effectiveness of existing products in the market, we are here to guide you through each and every step. Curated Reviews – Rather than depending on a single person’s opinion, we typically curate reviews, expert findings, and rating from various internet platforms in order to you the most detailed views on different health and wellness products, so you can consequently make smarter and healthier decisions. At CommunityWellness, we have spent countless hours evaluating, comparing and researching about different products online that have been rated as high quality. Sure, it’s easy to find reviews for electronics, gadgets and beauty products, but it is not always easy to find legit, collective reviews for the millions of other health and wellness products that are not technology-based, and not as commonly used. Now, we tackle some of the most popular and unique products found online to assist customers in their buying process. We are not worried about being the most popular or biggest product reviewing company; our main concern lies in finding quality, affordability, and functionality in products that are especially geared to meet your specific needs. 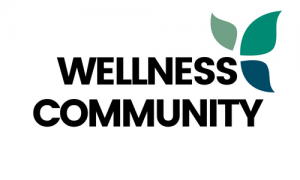 CommunityWellness reviews products related to multigenerational health, relaxation, wellness and other daily living aids that make your life easier. Doing so has enabled us to curate, highlight and comprehensively assess products that people really need. We don’t rely on guesswork but actually, back up our work with thorough research and comparison. Whether you are someone who has recently decided to pursue a healthier lifestyle or are a health specialist, we are here to help. We are thorough in what we do and offer reviews that are based on firsthand experience and extensive research. This approach has enabled us to offer unbiased and objective product assessments that are based on reputation, performance, and quality along with overall customer satisfaction. At the end of the day, we want our clients to find the best possible health and wellness products without having to worry about our selections being skewed by other interests. Every month, we help thousands of people find the right products they need to improve the quality of their life and health. We love what we do, and hope to keep contributing towards a healthier and happier world. At WellnessCommunity, we aren’t afraid to tackle personal and intimate care and related products. Whether you’re looking for the best bleaching cream for private areas, tips for keeping your lady business in top shape, or the best bikini trimmers on the market, we have got you covered. Our buyers guides cover the pros and cons, affordability, features to look for and reviews – all in one place. When it comes to alleviating the symptoms of arthritis, knee braces help reduce the pressure from the knee and leg, thereby ultimately aligning the leg in the correct position to lessen the impact of arthritis pain. Arthritis knee braces come in two main categories – off the shelf and custom made. “Off the shelf” involves selecting the appropriate braces from a ready-made collection, whereas “custom made” pertains to having braces designed specifically based on unique specifications and addressing your knee requirements precisely. When selecting the right knee braces for you, always keep your own requirements in mind. The particular type of brace you need will depend on the degree of your pain or the severity of your condition. The more serious the pain or injury, the bigger the braces you need. Keep in mind that off shelf braces are just as effective as custom made ones, unless you have a particular pain/area to target or have quite an uncommon knee shape. When knee pain becomes too unbearable, a knee replacement is the next likely step. We have become a top resource for knee replacement supports, including our buyers guide for the best ice pack for knee replacement surgery. Total knee replacement, is a challenging surgery to recover from but, the right products can reduce downtime and get you back to your old-self sooner. Derived from the Sanskrit word “yuj” meaning “to join or yoke”, yoga is a body and mind exercise with historical origins rooted in ancient Indian philosophy. Various yoga styles unite breathing methods, bodily postures, and meditation or relaxation. An improved posture – Did you know that when your head is balanced directly over an erect spine, your back and neck muscles don’t have to work as hard to support it? Poor posture can result in back, neck, joint and muscular pain which may cause you to tire easily. As you continue to slouch, the body finds a way to compensate by flattening the natural inward curves of your lower back and neck. This may lead to degenerative arthritis and pain in the spine. Yoga will help to strengthen and balance the supporting musculature – improving your posture. Improved Respiratory Function – Yoga incorporates the use of conscious breathing techniques to reduce anxiety, improve sleep, and calm the mind. Simple breathing exercises can be integrated into your everyday routine, offering effective stress-management and an improved sense of well-being. Additionally, yoga is highly recommended for asthma sufferers as it can increase lung capacity and alleviate some of asthma’s symptoms. Incorporating yoga in your everyday routine can increase proprioception and improve balance. People who have a bad posture or are trapped in dysfunctional movement patterns are more likely to experience poor balance and are more susceptible to slip and fall accidents. While improving balance and spatial awareness are particularly important for the elderly, greater body control is helpful for everyone and essential for competitive athletes who want to be at the top of their game. Increased Self-care – Yoga is a spiritual journey that encourages folks to prioritize self-care. It provides you the opportunity to make healthy, productive changes in your life whether it’s waking up earlier or shifting your dietary choices to more healthy alternatives. With regular practice, you will be inspired to take more control of your life and dedicate more time to self-care. Best of all– if you take group classes – you will be surrounded by a group of like-minded people who will motivate you to stay on track and bring positive changes to your daily routine. Relaxation can bring along a number of physical health benefits. During the process of relaxation, your breathing and heart rate slows down, your blood pressure subsides, and the blood flow to your core muscles is increased. Chronic muscle tension and pain are also drastically lessened when practicing relaxation methods. Your body’s has an intricate and highly meticulous network of systems, which include the immune, circulatory, respiratory, and gastrointestinal systems. Daily living aids help patients in completing tasks that they are otherwise unable to carry out anymore. These are any item, product system or piece of equipment, whether acquired off the shelf or customized, that is used to improve, maintain, or increase the functional capacities of people who have disabilities. Some of our most popular daily living aid articles are seat cushions for hemorrhoids, seat cushions for coccyx pain and even the best TV speakers for the hard of hearing. Another section of our daily living aids are used in long-term facilities, group homes, and also in residential homes. These include shower chairs with wheels and adult diapers. Disabled or elderly people have a greater need for these aids and find that using such products enable them to take care of themselves better.